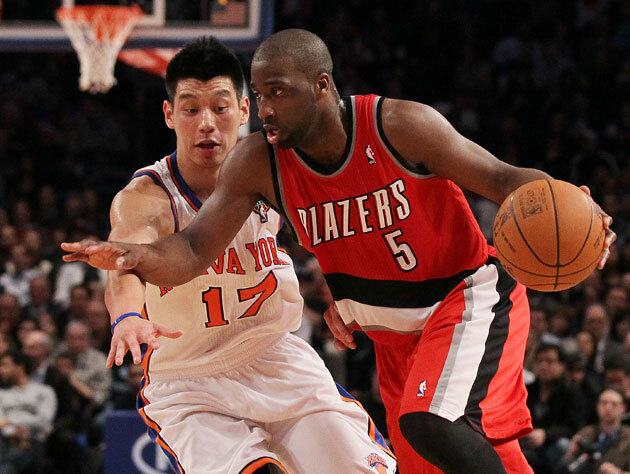 If New York Knicks guard Raymond Felton ever had a chance to remind anyone of the Knicks' fortunes without current Houston Rocket point guard Jeremy Lin, this would be it. Actually, scratch that — New York's home game against the Houston Rockets on Dec. 17, provided Felton keeps up his strong play and Lin continues to struggle, would be the best chance to gloat — but Felton is going to take advantage right now anyway. Lin's Rockets are welcoming the Knicks into the Toyota Center on Friday night, and the two sides couldn't be farther apart. Lin's former team is playing the best basketball of any team in the NBA — tied for the league's best record while brandishing the NBA's best point differential over that 8-2 start — while the Rockets have lost seven of 12 games, with Lin being benched for the fourth quarter in Wednesday's win over the Chicago Bulls for various issues. Check off all the boxes, because Felton is on point here. The veteran and Lin are two different players, with Felton working as more of an orthodox, pick and roll style in comparison to Lin's sometimes pell-mell drives to the hoop. Comparing Felton's nearly 19,000 career NBA minutes to Lin's 1627 career minutes is pretty silly, especially when you consider how Lin is still developing and the fact that he's still getting over the first significant injury of his career. Felton is correct in pointing out that Lin's work last February was some of the best we've seen in a while, and record-setting for a first-time starter. And Raymond is correct in acknowledging that he harbors no enmity or chip on his shoulder because of Jeremy Lin. 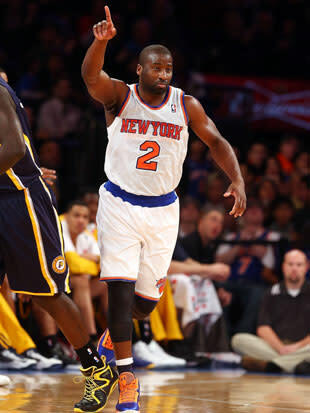 The chip is there because Felton hasn't eaten it yet. Felton looked awful in Portland last year, showing up to camp terrible shape and playing miserably in front of a group of rabid Trail Blazer fans that had just about had it during an injury-decimated, lockout-shortened waste of a year. Admitting earlier this week that he's only in better shape because he worked out (!) for the first time in his life over the summer, Felton has been fantastic and borderline All-Star-ish (depending on how much you personally adjust your picks for per-minute numbers) in 2012-13, averaging 15.7 points and 6.9 assists in only 33 minutes a contest while shooting 42 percent from behind the three-point line. Lin, on the other hand, has struggled in his new home. Badly. The 24-year old has made just one-third of his shots and fewer than a quarter of his three-pointers while sustaining a turnover rate (the amount of possessions he uses that turn into a miscue of his own making) from last season at around 20 percent. Lin's turnovers with the Knicks (where, in 35 games, he did outplay Felton's current season thus far) were passable as long as he was scoring and finding teammates. This year? Ten points, 6.3 assists, and 1.9 steals. Not awful production, considering he's technically just making the league's average salary this year, but needing 33 percent shooting and heaps of turnovers to get to those point and assist numbers is not working. To say nothing of his lacking defense, which got him yanked on Wednesday for his former Knicks reserve in Toney Douglas. "I've been exposed a lot early on in the season and I have a lot to work on,'' Lin said. "I'm young. I've probably started 30-something games my entire career. I felt better before [the surgery,] but it's just a process. We have three days off after [tomorrow] and there's going to be a lot of things I'm going to do for my leg, knee. Just explosive stuff we're trying to work on. That will come eventually. At least Lin and Felton are talking. Knicks coach Mike Woodson was pretty short in his comments to the media about his former point guard, as was Knicks scorer J.R. Smith. Understandable, after you start 8-2 and all anyone wants to talk about is a guy that used to play with you. Nobody from New York is rubbing anything in. They like Jeremy Lin, and are happy for him. They kind of just want to stop being known as the team that used to employ Jeremy Lin. They'd probably prefer, should things go their way on Friday (in both Houston and in Memphis, where the 8-2 Grizzlies are taking on the Lakers), as the best team in the NBA.